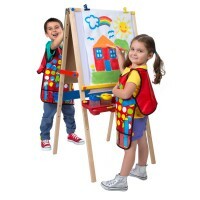 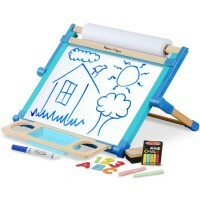 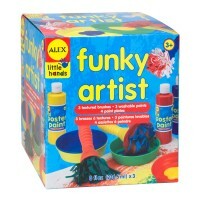 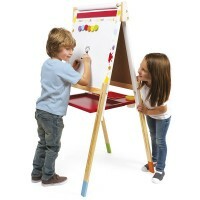 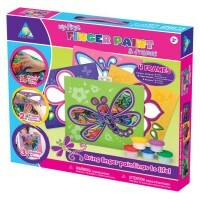 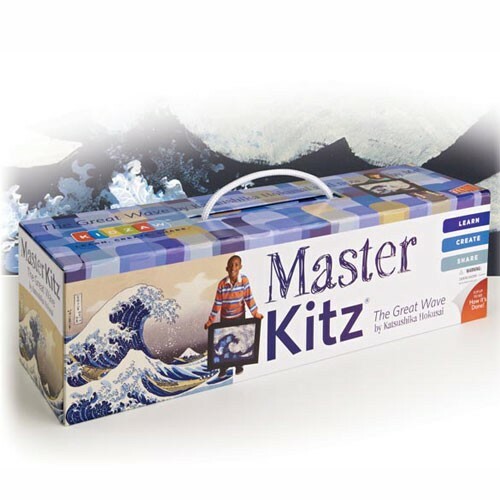 This Master Kitz fine art learning kit brings all the art tools your child needs to understand fine art better and recreate The Great Wave by famous Japanese artist, Hokusai. 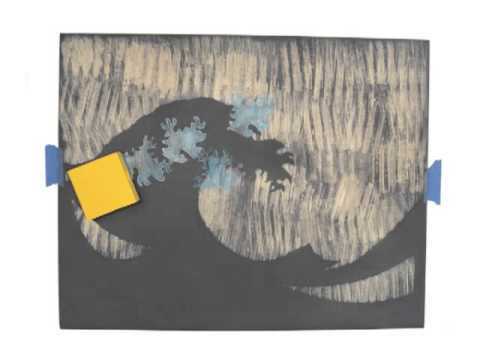 The Great Wave of Kanagawa by Hokusai is truly a symbol of Japanese art. 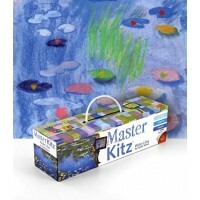 This popular art work is the most famous print that was part of the series 36 Views of Mount Fuji by Hokusai. 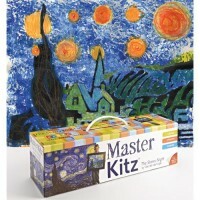 The art series was so popular that the artist added 10 more prints to make the total 46 views. 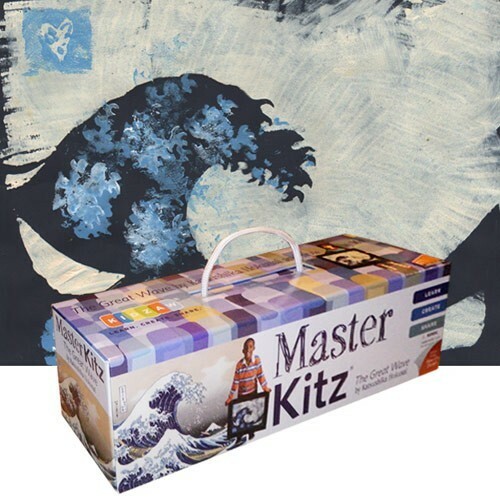 The Master Kitz Famous Painting Art Kit - The Great Wave by Hokusai contains everything that your child artist needs to paint their own scenery of Mount Fuji. 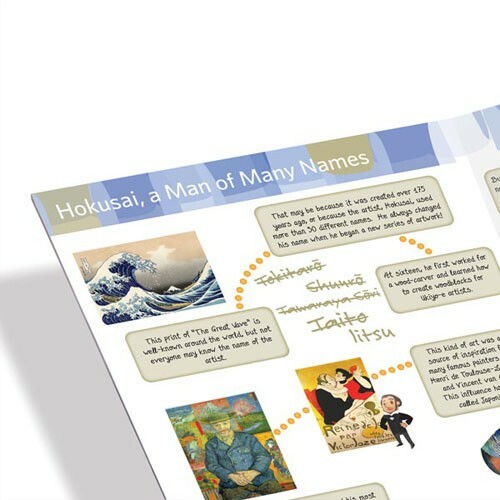 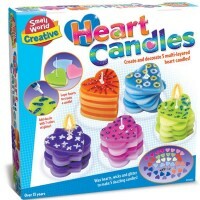 This Hokusai-themed children art set features easy-to-understand learning materials to deepen their understanding of this Japanese art piece. 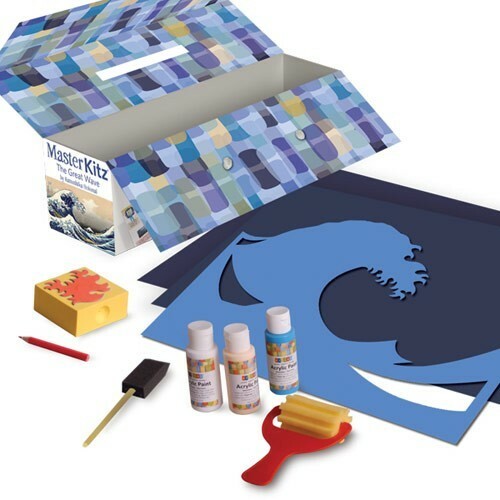 The Famous Painting Art Kit - The Great Wave by Hokusai from Educational Toys Planet comes complete with a durable art supply toolbox with magnetic closures, 3 custom colors of child friendly acrylic paint, re-usable Great Wave stencil, 2 re-usable art stencils, textured foam roller, foam stamp/ print maker, pencil, 2 pieces deluxe art paper, and detailed instructions. 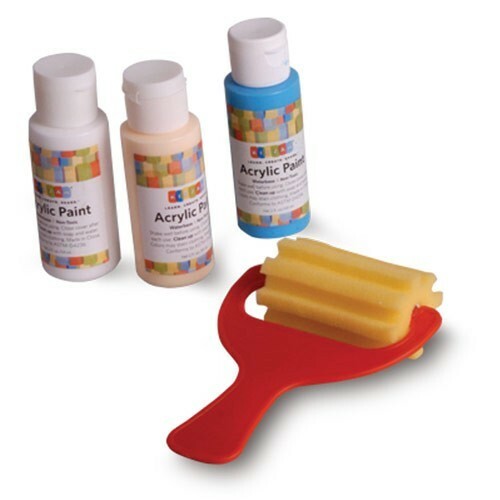 The art kit for children also includes the fun fascinating booklet about Hokusai and the art of print making or ukiyo-e, as the process was known as in Japan. 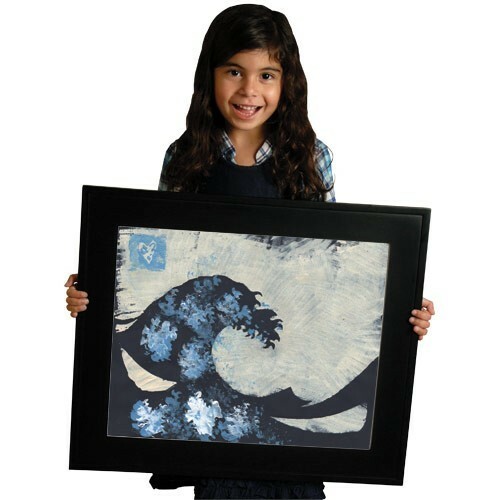 Your young artist's finished Great Wave masterpiece can be framed in a standard 16 x 20 inches frame to decorate his own room. 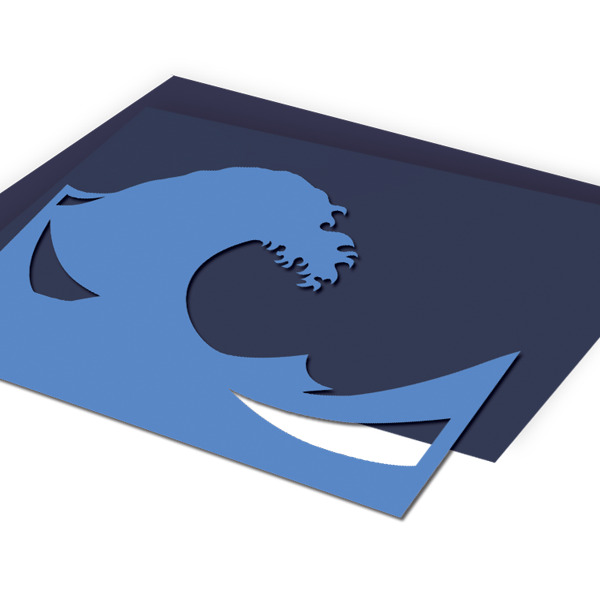 Dimensions of package 5" x 17.01" x 4.88"
Write your own review of Famous Painting Art Kit - The Great Wave by Hokusai.